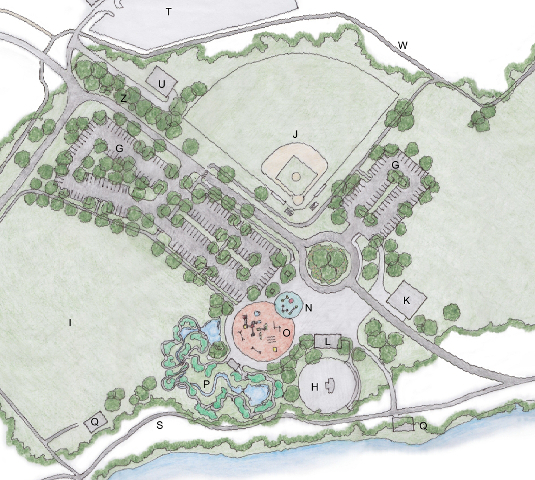 Robert E. Beach Architects, LLC was selected by the Northern Virginia Regional Park Authority to design the master plan for the 350-acre Occoquan Regional Park. The existing park is located on the bank of the Occoquan River adjacent to the Lorton Workhouse Arts Center. Workshops were conducted with the Park Authority’s Planning and Development Department and the Park Manager to define the extent of improvements desired. 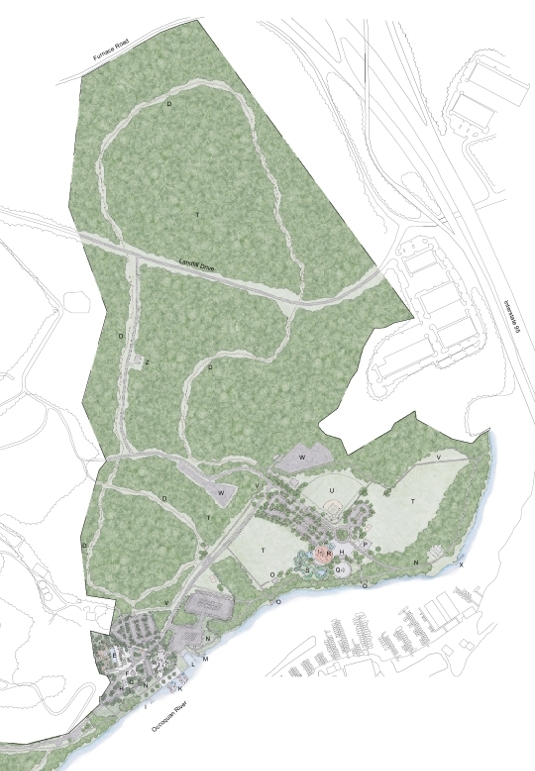 The result was a clear delineation of needs for development of the park master plan. The future goal of the park is to attract more visitors, educate the public about the history of the site, and serve as a recreational hub for the community. Engagement of the park to the river is an important aspect of the plan. A river walk extends along the shoreline and creates a new waterfront plaza providing access to a new full service sailing marina. These amenities are a part of a network of interconnected fitness, hiking, and nature trails designed to connect all of the park’s facilities. A new activity area was planned to include future attractions such as a miniature golf course, a sky hike, a zip-line, an accessible playground near the popular batting cages. 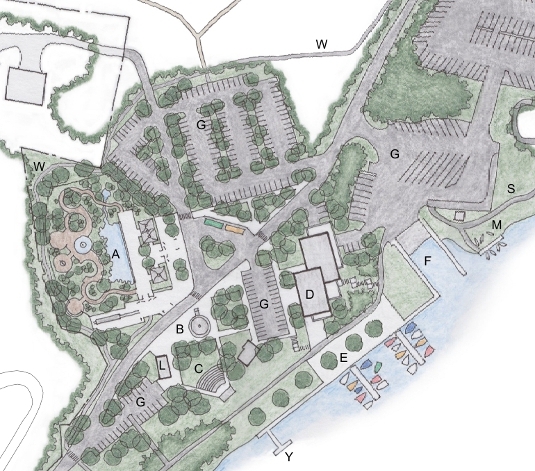 In addition to these traditional park features, the new plan includes a multi-purpose building located on the bluff above the waterfront with facilities to accommodate special events, such as weddings and banquets. Outdoor event facilities are also provided that include an amphitheater, plus new large and small capacity picnic shelters. These facilities are located to maximize the views of the river while providing functional park use. The design is prepared for phased construction in coordination with the development of the Turning Point Suffragist Memorial.